Do You Teach Azure Data Platform? I offer instruction on the Azure Data Platform, and have for about six years, since shortly after it came out. I started using Azure SQL Database (although it had a different name then) Day 1. I’m sure I overlooked someone who is active in this space. Please help me out. Let’s create a good list of active educators on the Azure Data Platform. I believe this is needed so that people know where to go, besides the excellent Microsoft resources (and they are excellent), to get more information. Please, no Microsoft employees. Yeah, many of them are great educators and I’m sure going to go and sit in their classes, as you should. I’m just trying to get the fundamental list of non-Microsoft speakers together and share it out. 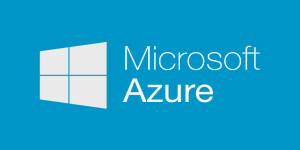 Azure interest is growing, fast. Independent voices are valued and needed. Let’s get this list together, published, and maintained. Send me your input through the comments or my email (grant – at – scarydba -dot- com). I’ll get things published ASAP. Oh, and if I missed you from the initial list and you were an obvious inclusion, my apologies. I’m old. And, thinking about it, let’s get the BI people in Azure listed too. I was being lazy, not exclusive. Lazy & old. The intent is still good. If you, or someone you know, is actively teaching Azure Data Platform, I want to know about it so I can add them to the list that I’ll maintain. Hi Grant, Would you add me to your list please? I have a new Cortana Intelligence Suite presentation which can be found here: http://www.sqlchick.com/presentations/.